TransDev represents some of the most vital brands in the industry and has a wealth of expertise in their application and adaptation to suit all requirements. Our business has been built on working closely with trade, reseller and distributor partners. Our trade customers tell us that our high levels of off-the-shelf availability on standard products, backed by our manufacturing of specials, coupled with highly-trained competent staff provide them with the support they need. TransDev Direct defines our relationship with our Distributor and Trade customers. One major aspect of this is the TransDev Direct dedicated online store, where you can order direct with your agreed discount (if applicable). Visit Our Dedicated Trade Store! 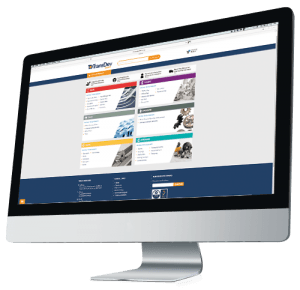 Our online store is the quick and convenient way for approved trade and distributor account holders to order TransDev standard products. Access over 20,000 products, with live stock availability, your customised pricing, multi-user features and easy ordering functionality. This is fully supported via telephone, email and online chat by real people who are there to assist your business. A TransDev account is required to access TransDev Direct and access is subject to approval. You can learn more here or click the button to go to the store. Interested in Becoming a TransDev Distributor? TransDev supports hundreds of trade and distributor businesses in the UK and beyond and welcomes new businesses. If you wish to learn more about becoming a TransDev distributor, reseller or trade partner then please call or contact us using the form in the side bar. Your local TransDev Regional engineer will then get in touch. If you wish to apply for a TransDev account then just click the button to go to the online form.